Hunting Mozambique can offer some unique and varied hunting experiences. Located on the Indian Ocean, it faces the island of Madagascar and is bordered by Tanzania, Malawi, Zambia, Zimbabwe, South Africa, and Swaziland. The hunting areas of Mozambique, comprise a large portion of the entire country. 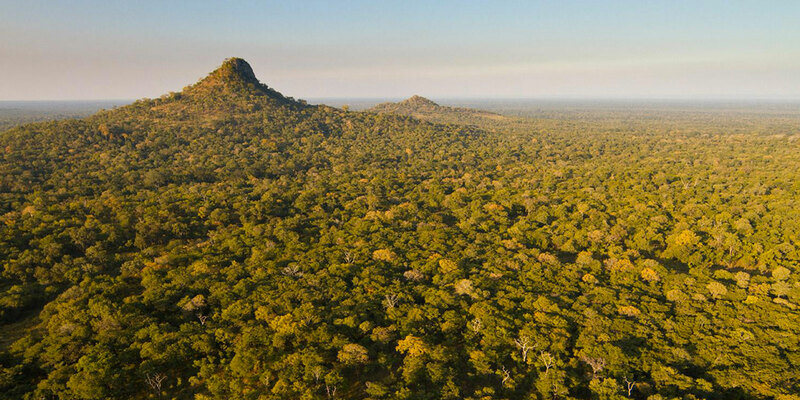 The habitat in these areas are largely comprised of green savannah, forest glades and some dense forest which can make hunting Mozambique quite challenging at times. Best hunting can be found in the more remote areas of the country near the borders of Tanzania and Zimbabwe. The large game reserves of these countries help to contribute to the larger animal populations found there. If you are interested in hunting Mozambique for the regal Sable Antelope, you are in luck. The Sable can be found in virtually all of the hunting areas. Nearly all of the antelope special can be found here including the Nyala, Cape Eland, Greater Kudu, Lichtenstein Hartebeest, and Chobe Bushbuck just to name a few. If hunting Mozambique for Lion, it is done by calling or tracking rather than baiting as is popular in many other countries of Southern Africa. Leopards are abundant in many areas of the North and West, while Cape Buffalo can be found in almost all areas. Hunting Mozambique for Crocodile can be a real challenge for the marksman as shot placement must be very precise. The Croc can be found in abundance in the Zambezi River and Lake Gahora Bassa region. Where the Croc is found, so is the great "Water Horse" … Hippo hunting both on land and in the water can certainly be challenging. Hunting Elephant is legal and best populations are to be found in the North and West. If hunting Mozambique for Elephant, plan to do a great bit of walking, as they say: Elephant are hunted with the feet. The hunting areas of Mozambique are characterized by vast, open territories for the most part un-fenced. The average area is usually in the vicinity of 150,000 acres. Hunting Mozambique, begins in the 4x4 vehicle from well appointed camps and once in the bush, tracking on foot becomes the order of the day. Terrain in most of the hunting areas tends to be flat and thus not necessarily physically demanding. Camps are generally permanent fixtures with comfortable bungalows and food is good with plenty to eat. The hunting season runs from June till November. Marvel Africa Safaris can provide quality hunting opportunities in Mozambique. You can expect the same quality service and attention to detail that our clients have come to expect. If hunting Mozambique is high on your list, please call, write, or email for a full and detailed quotation.